The sleeve valve is a type of valve mechanism fitted between the cylinder and piston. It is a device typically used in a water supply or distribution system when there is a need to reduce high pressure or throttle flow. This water valve consists of a cylindrical gate which slides over an inner sleeve. The inner sleeve was consists of a series of nozzles specifically sized and arranged to provide a solution to cavitation issues, which are frequently encountered in throttling applications with other valve types. 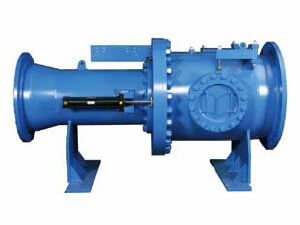 Due to its design, the sleeve valve minimizes cavitation. Cavitation does occur in severe throttling conditions. 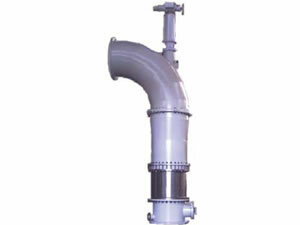 It is directed from the valve down to center of the valve, so that no erosion damage to the piping can take place. 1. This water valve is featured with inline layout. 2. The sleeve valve has excellent anti-cavitation performance. 5. Our model B10 sleeve valve is a high-precision adjustment valve. Corroco International Industrial Co., Ltd is a professional manufacturer and supplier of sleeve valves in China. In addition to this water valve, we also supply butterfly valve, turbine inlet spherical valve, model C20 cone valve, model N needle valve, etc. With 12 years' production experience, our products have been exported to the United States, Canada, Britain, Germany, Iran, Pakistan, India, Kuwait, Dubai, Saudi Arabia, the Philippines, Malaysia, Singapore, Congo, Turkey, etc. They are well received by our clients from both home and abroad.